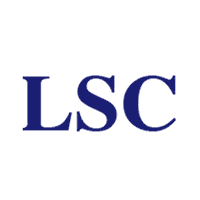 LSC is an Italian non for profit social research and training institution based in Rome. Founded in 1993, LSC has worked in different fields such as quality of health care services (participatory application of standards in the health services; quality participatory monitoring, essentials levels of assistance, sociology of health), energy and environment, governance and civil society, training of human resources, migration, fight against social exclusion, science and technology and urban development. LSC has also a significant and specific experience on the issue of measurement of social (complex) phenomena. LSC research activities, based on a sociological approach, revolve around the radical changes affecting the models of governance in contemporary societies, and the growing relevance of social agency/energy. LSC believes that science and technology both play a fundamental role in determining the social, economic and political fates of societies. The awareness of the link between society, science and technology on the part of public opinion, decision-makers and scientists themselves is still low and does not produce suitable orientations and policies. This is a serious risk, in a global context in which knowledge is a strategic factor of economic and social growth, and there is the need for an effective governance of research. LSC promotes the significant role of sociology within what is being increasingly perceived as a single scientific field that includes all the investigation areas, from natural to social sciences. Moreover LSC activities revolve around the perception of how radical the changes affecting the models of governance are in post-modern society, and the need for new partnership-based approaches to decision making. LSC projects in 7FP: SET-DEV “Science, Ethics and Technological Responsibility in Developing and Emerging Countries” (SiS); PACT “Pathways to Carbon Transitions” (SSH); BESSE “Brokering Environmentally Sustainable Sanitation in Europe” (ENV); BESST “Breakthrough in European Ship and Shipbuilding Technologies” (Transport); FUTURAGE “A Definitive Road-Map for Ageing Research in Europe” (Health); CONSENT “Consumer sentiment regarding privacy on user generated content services in the digital economy” (SSH); SMART “Scalable Measures for Automated Recognition Technologies” (SEC); RESPECT “Rules, Expectations & Security through Privacy Enhanced Convenient Technologies” (SEC); MILESECURE 2050 “Multidimensional Impact of the Low-carbon European Strategy on Energy Security, and Socio-Economic Dimension up to 2050 perspective” (SEC); MAPPING “Managing Alternatives for Privacy, Property and Internet Governance” (SiS). Sociologist, he has coordinated or has participated in several research projects about the relationship between science, technology and society, surveillance, rule of law, communication issues, evaluation of development projects, corporate social responsibility, civil society organizations, African societies, island studies, above all in Europe, India, Africa, Central and South America. 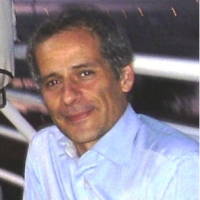 He is also expert in training activities, member and a teacher to the Scuola di Sociologia e di Scienze Umane (School of Sociology and Human Sciences). Currently he is working in an European project financed by the European Commission focused on privacy and surveillance issues, namely: SMART - Scalable Measures for Automated Recognition Technologies. Sociologist, he is an expert in the investigation of contemporary social phenomena such as poverty and social exclusion, international migration and return process, governance, social capital and civil society. On this issues, he coordinated several research and technical assistance projects, especially in Africa (Angola, Cameroon, Equatorial Guinea, Ivory Coast, Morocco, Senegal, South Africa and Zimbabwe), in Italy and in other European countries. 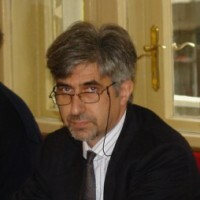 He has been involved as а senior researcher in some European projects (7th Framework Program) including among others: PACT – Pathway towards Post Carbon Society; WHIST – Women’s careers hitting the target: gender management in scientific and technological research; BESSE - Brokering Environmentally Sustainable Sanitation for Europe; CONSENT - Consumer Sentiment Regarding Privacy on User Generated Content Services in the Digital Economy. 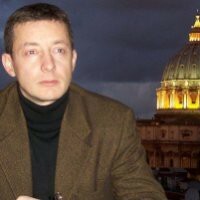 Currently he is working, as а consultant for research, monitoring and evaluation activities, in several European projects financed by the European Commission some of them focused on privacy issues, namely: SMART - Scalable Measures for Automated Recognition Technologies; RESPECT - Rules, Expectations & Security through Privacy Enhanced Convenient Technologies. He is also an expert in training activities, member and teacher of the Scuola di Sociologia e di Scienze Umane (School of Sociology and Human Sciences). Socio-economist, he has been a social researcher and manager in more than 35 social research, training and technical assistance projects. Since 2003 he has been involved in consultancy activities for the promotion and design of social research, training and technical assistance projects. His professional expertise covers the following fields: scientific communication, technological innovation, methodology of social research, project management, corporate social responsibility, civil society, social capital, poverty and social exclusion, empowerment, local development (in both rural and urban setting), peace processes and war torn societies, small and medium size enterprises development, water supply and sanitation. He has been involved as researchers in various European research projects within the 6th and 7th Framework research programme, including RESPECT “Rules, Expectations and Security through Privacy-Enhanced Convenient Technologies”. He has worked in almost 30 countries, including developing countries.